PoemTalk 57: on Gregory Djanikian's "Armenian Pastoral, 1915"
Today we're launching the fifty-seventh episode in the PoemTalk Podcast Series, in which the poem up for discussion is Gregory Djanikian's "Armenian Pastoral, 1915," taken from his 2007 collection, So I Will Till the Ground. For this program, host Al Filreis is joined by Peter Balakian, John Timpane and Jamie-Lee Josselyn. 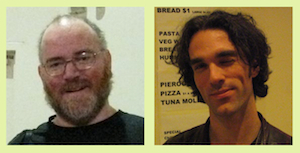 In his write-up of the episode on the PoemTalk blog on Jacket2, Filreis begins by giving a little background on the poem itself and the event that yielded the recording to which the panel is responding: "When Gregory Djanikian's book, So I Will Till the Ground, was published in 2007, it was celebrated at the Kelly Writers House. (Later a Writers House podcast was released to give a sense of the event.) Al Filreis gave an introduction as did one of Djanikian's students, Sam Donsky. Djanikian read the hilarious 'Immigrant Picnic,' a poem from the part of the book dealing with the life of the poet's family after the genocide left many of his forebears dead and dispersed the rest to places like Alexandria, Egypt, where our poet was born. Most of the book, indeed, deals with the effects many decades later of the Armenian genocide (or 'Meds Yeghern,' the great calamity). But the first poems in So I Will Till attempt to represent mass killing. Among them is a poem Djanikian also read that night in 2007: 'Armenian Pastoral,' the poem we discuss in this episode of PoemTalk. It is more focused on the linguistic capacities of traumatic memory than any other poem in a book that is nonetheless full of consciousness about the relationship between genocide and naming." You can read the rest of Filreis' program summary, and listen to the podcast, here. 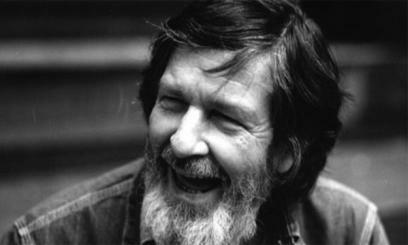 PennSound and Jacket2 would like to join the worldwide chorus of well-wishers celebrating what would have been John Cage's 100th birthday, and we've got recordings and texts, both old and new, for you to enjoy. Meanwhile, over at Jacket2, we have two very exciting new articles which approach Cage and his work from different angles. Jena Osman frames the online "textual instrument" NewsReader through Cage's I-VI in "Playing the World", while in "Hidden harmonies in John Cage's 'Empty Words,'" Dawn Akemi Sueoka ably balances mycology and linguistics as she explores Cage's deconstruction of Henry David Thoreau's journals. 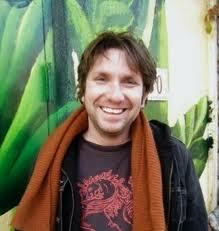 We're starting off this new week by highlighting our newest author page for poet Jason Zuzga, which brings together recordings of four Philadelphia-area readings between 2006 and 2011. The most recent of these is a September 2011 reading as part of the Principal Hand Presents series. That's followed by Zuzga's March 2007 appearance at Robin's Bookstore as part of EOAGH's Queering Language launch reading. One month earlier, Zuzga appeared on Live at the Writers House Episode #63, and this segmented set includes the poems "Making Butter," "City Life," "Sea Horse," "Diet" and "Documentary." Finally, we have a 2006 appearance, also at the Kelly Writers House, as part of the Emergency Reading Series, which features a twenty-six minute reading as well as a twenty-minute conversation with the other poets sharing that evening's bill, Kate Greenstreet and Noah Eli Gordon. To start listening to these recordings, click on the title above to be taken to our new Jason Zuzga author page. 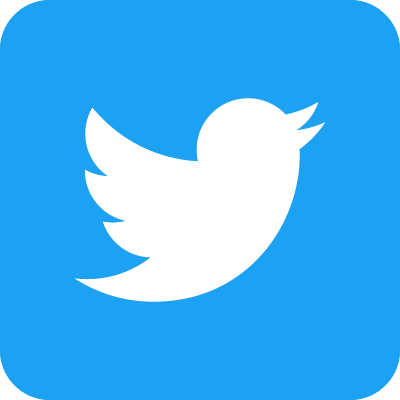 We recently heard from Boog City editor David Kirschenbaum, who was kind enough to pass along a Segue recording that was missing from our archives. "Over 12 years ago, on April 8, 2000, Aaron Kiely and I read in the Segue series, housed at Double Happiness then," he wrote. "At the time the recording equipment was down, but I did what I usually did at readings, recorded it on my trusty portable cassette recorder. I listened to it once or twice after that and eventually just put it in a drawer in my apartment." A recent e-mail from PennSound reminded him that this reading wasn't archived on our Segue Series at Double Happiness homepage and with the help of poet and public radio producer Sean Cole, he was able to get the recording digitized and into our hands. Kiely's set is introduced by Kristin Prevallet, while Prageeta Sharma does the honors for Kirschenbaum. You can hear this vintage Segue set here, or by clicking the title above. And speaking of Segue, don't forget that the venerable series will be returning in just a few weeks with a new home base, the Zinc Bar. You can peruse the fall and winter schedules on the Segue Foundation website, and stay tuned for recordings here on PennSound. 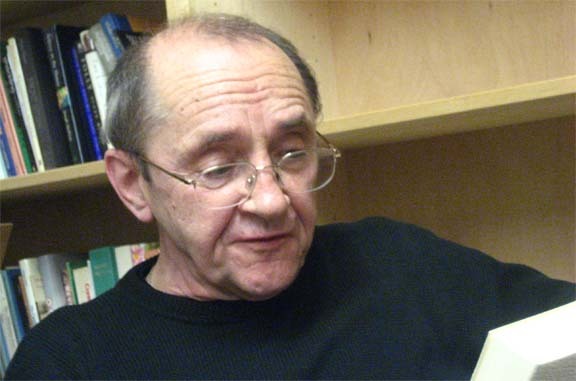 We're saddened to pass along the news, first broken over Facebook several hours ago by Alexander Skidan and Mikhail Iossel, of the passing of Russian poet Arkadii Dragomoshchenko. Our own Charles Bernstein offered this remembrance on his Jacket2 blog: "It was with great sadness that I heard this heartbreaking news. From when I first met Arkadii in the 1980s, to his semester-long stay with his wife Xena in Buffalo in the early 1990s, to Susan, Felix and my visit to St. Petersburg in 2001, to his recent visit to New York and to Penn two years ago, I have felt a deep kinship with Arkadii, a poetic and personal affinity that goes beyond any national or linguistic borders. A great companion in life and poetry has left the earth but not the world." Another tribute on Jacket2 comes from new commentator Jacob Edmond, who observes "Arkadii's writing was — is — an education in itself, always making me think again. But he taught me in other ways too. He looked after me very generously when, at the age of 22, I first met him in St Petersburg in 2000 and proposed, rather naively, to write about his work. His passing is a great loss. My thoughts are with Zina, Ostap, the rest of the family, and his many friends." Earlier this summer, Jerry Rothenberg shared Dragomoshchenko's poem, "Paper Dreams" (dedicated to Rothenberg) and offered high praise for the poet — "[His] freedom as a poet resided squarely in the heart of his poetry — its language & form serving as the conduits for thoughts & realities previously obscured... That his poetry is remarkable on its own terms should be evident" — before sharing Marjorie Perloff's appraisal: "For Dragomoshchenko, language is not the always already used and appropriated, the pre-formed and prefixed that American poets feel they must wrestle with. On the contrary, Dragomoshchenko insists that 'language cannot be appropriated because it is perpetually incomplete' ... and, in an aphorism reminiscent of Rimbaud's 'Je est un autre,' 'poetry is always somewhere else.'" Finally, we'd like to draw your attention to PennSound's Arkadii Dragomoshchenko author page, which is home to a wide array of audio and video recordings, including several — a two-part Close Listening program and a Segue Series event at the Bowery Poetry Club — from the 2010 visit to the states mentioned above, along with a 1990 Segue Series set, a 2007 recording from the Summer Literary Seminars in St. Petersburg, and two films by Dragomoshchenko on Sergei Kurekhin. Edited by Jena Osman and Juliana Spahr, Chain was founded at the State University of New York, Buffalo in 1994. Chain was uniformly released from 1994 until 2005 in perfect bound 6" by 9" format with 1,000 copies printed per issue. Twelve issues were published with each issue organized around a special topic: 1. Gender and Editing; 2. Documentary; 3. Hybrid Genres/Mixed Media (second volume); 4. Procedures; 5. Different Languages; 6. Letters; 7. Memoir/Antimemoir; 8. Comics; 9. Dialogue; 10. Translucinación; 11. Public Forms; and 12. Facts. You can browse the Chain archives at Jacket2's Reissues homepage, where you'll also find the journals Secession, Alcheringa, and Combo, while scans of ROOF, M/E/A/N/I/N/G, Zuk, Hills, and Jimmy & Lucy's House of "K" are all forthcoming. 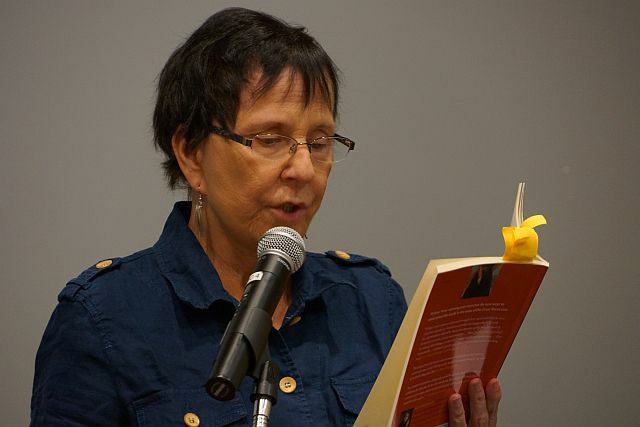 Last week, poet Rae Armantrout gave a reading at Penn State University, and thanks to the marvelous Aldon Nielsen and his Heatstrings archives, we're able to present a recording of that event to you. Armantrout's set includes generous selections from her last book, Money Shot (Wesleyan, 2011) — including "Working Models," "Bubble Wrap," "Answer," "Money Talks" and "Long Green" — but what's even more exciting (and something we've come to expect from Armantrout readings over the years) is the sneak preview of two forthcoming collections. First, we have a dozen poems from Just Saying (Wesleyan, 2013) followed by fifteen poems from The Matter, a current sequence-in-progress. You can hear this set, both segmented MP3s and a complete recording, on our Rae Armantrout author page, which is home to dozens of recordings from the late 1970s to the present. Click on the title above to start listening. We'll get this week off to a quick start with more of what we left you with last week — namely more Rae Armantrout. After we posted last week's entry on Armantrout's September 11th reading at Penn State University (which came to us courtesy of Aldon Nielsen), we got an e-mail from Aaron Beasley offering us audio from Armantrout's reading the evening before at the University of Alabama's Bama Theater in Tuscaloosa, "attended by students and faculty of UA, including Hank Lazer," and we were very happy to accept. This thirty-six minute recording starts with "Scumble" from Versed before seguing into poems from Money Shot, followed by more recent work from the forthcoming Just Saying, and the sequence-in-progress The Matter, following a sequence similar to the Penn State reading. This recording, and many more spanning five decades, are available on our Rae Armantrout author page. We're off to an early start today with some very exciting new additions to our already-encyclopedic John Ashbery author page — namely, recordings of the poet's complete series of Charles Eliot Norton Lectures at Harvard University in 1989 and 1990. Later revised and published under the title Other Traditions, Ashbery's six lectures explore the work of relatively-unknown poets who, for him, are more than mere inspirations, but rather serve as "a poetic jump-start for times when the batteries have run down." You'll find all six talks — "John Clare: 'Grey Openings Where the Light Looks Through,'" "Olives and Anchovies: The Poetry of Thomas Lovell Beddoes," "'The Unthronged Oracle:' Laura Riding," "The Bachelor Machines of Raymond Roussel," "David Schubert: 'This Is the Book That No One Knows,'" and "'Why Must You Know:' The Poetry of John Wheelwright" — on our Ashbery author page, along with an amazing wealth of readings, lectures, interviews and radio programs spanning more than sixty years. We're grateful to John Ashbery and David Kermani, along with Harvard's Woodberry Poetry Room (specifically Christina Davis), for their help in making these marvelous recordings available. Click on the title above to start listening.